Wow! A true milestone has been reached for my little blog, 5000 views and growing. I only started in August 2012 and now just 10 months later that number has been reached!!! What’s even better news is that the average daily hit rate is steadily rising each month so hopefully we’ll get to 10000 just a little bit quicker. Now granted this is not the Hufffington Post in terms of hits but I hope it provides a useful resource particularly for anyone thinking about visiting the street art scene of the East End. I’ve also tried to diversify a little and thrown in some random stuff around what I think is interesting in terms of London History and also tried to speak to some real Londoners by doing the odd interview and seeing what makes them tick. So to celebrate I thought I’d re-visit the top 5 posts which have generated the most traffic and share with you some thoughts around them. 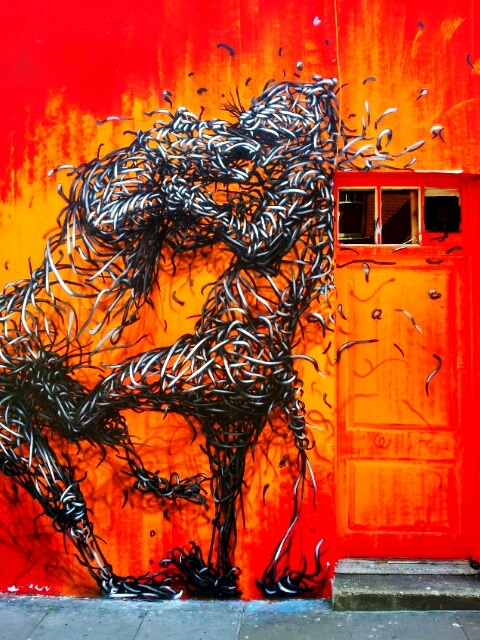 DALeast Street Art in London (188 views) – DALeast is incredible and it’s the art thats generating the traffic here. People visit the east end, see his work and are hungry to see more images from this incredibly talented artist. 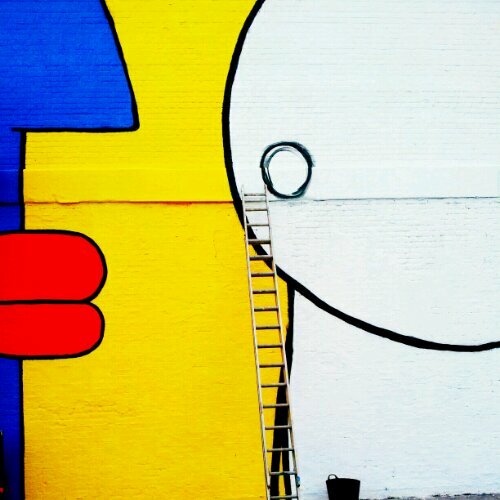 Stik and Thierry Noir paint the Village Underground (178 views) – I remember that I camped out watching Stik and Thierry finish this wall on a freezing cold day in February. The Village Underground wall is fast becoming a tourist attraction in it’s own right with Street Art London arranging so many amazing artists to paint it. To this day though the Stik and Thierry collaboration is my favourite. I also remember the day well because I met a couple of new friends at this wall, Bablu and Monoprixx, and that made the cold all the more worthwhile. 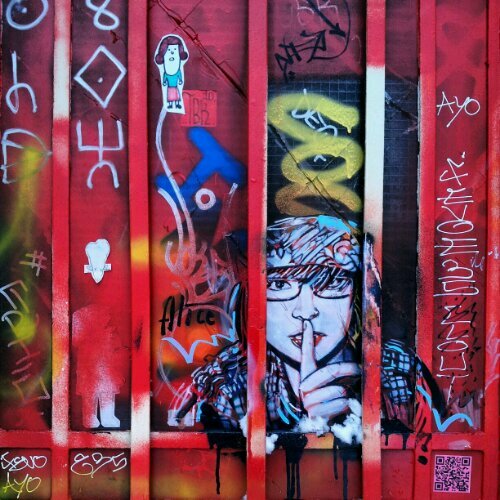 Alice Pasquini Art in London (151 views) – Italian artist Alice is a regular visitor to London and she didn’t disappoint during her most frequent appearance producing some great murals. 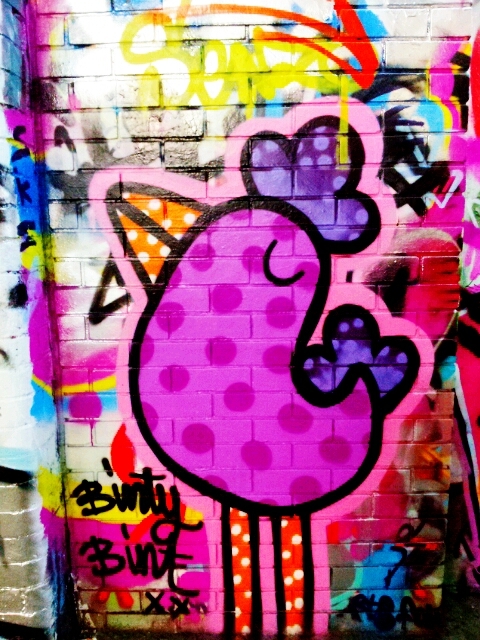 Binty Bint brightens up the Leake Street Tunnel (129 views) – I absolutely love Bint’s work it’s so much fun. She tends to paint in the Leake Street area a lot which is fair enough because it certinaly livens up that dark and dank place. I’d really like to see more of her work in the East End though. Theres a few small pieces there already but we could always do with more. So that’s it for now, it took 95 posts to get to 5000 so lets see how many it will take to get to 10000. I’m going to try and mix things up a bit more now by sticking to the street art core posts but seeing if I can also get a bit more context around what makes these artists tick by speaking to some of the key people involved. I’ll also look to do a few more things around the city that arn’t necessarily street art based but still a lot of fun nonetheless. Congratulations on 5000,youve got a log of work on film and some may have been painted over never to be seen again except on inspiring city.very well put together. Recently found you and have been spreading the word…Great source of documentation….keep it up! Also..have you heard of Loretto (sp?) 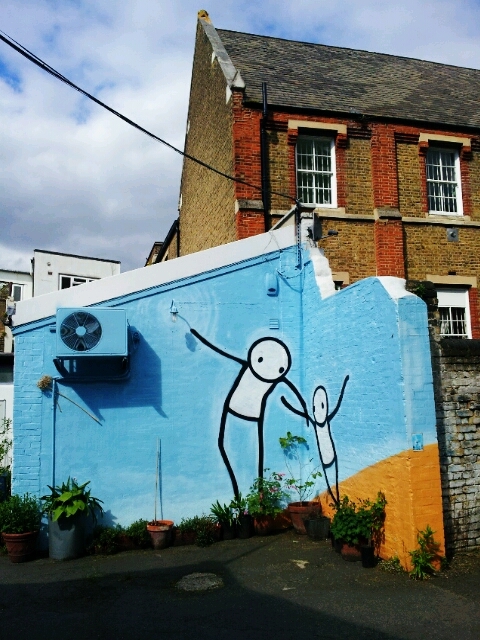 Came across one of his/hers on Gordon Rd, Nunhead and like the style…would love to see more..
Congratulations on the 5000 🙂 I am enjoying your blog, especially the street art stuff, hope to see you out there one day.